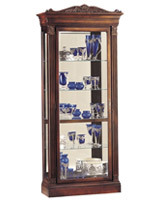 This Display Cabinet Comes with Eight Glass Shelves and a Glass Side Opening Door! 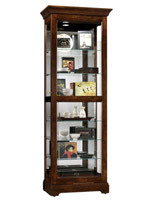 This Display Cabinet Is a Curio Cabinet with Black Coffee Finished Wood! 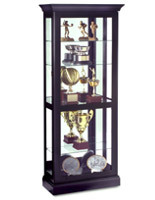 This Display Cabinet Is One of Hundreds of Models! A No-Reach™ light located on the back to provide easy access to lighting. 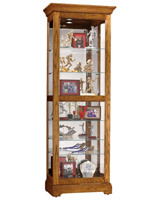 A side-opening door to provide easy access to your collectibles. 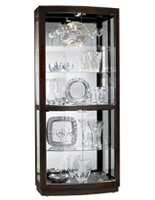 Fully adjustable glass shelves with Pad-Lock™ cushioned metal shelf clips for added stability. 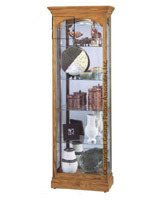 Interior lights for a brighter way to showcase your items. 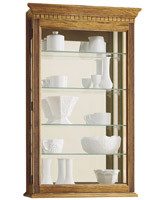 This display cabinet is ideal for exhibiting family photos or treasures. 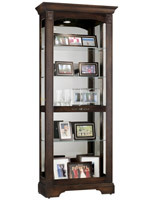 It is finished with a rich, black coffee stain, giving it an elegant, yet modern mood. 27.3" x 77.8" x 17.5"